Multimedia Productions produces a variety of local programs including a weekly "k12 connect" segment, Marion County's Golden Apple Teacher Gala, the Ocala/Marion County Christmas Parade, Sunshine Book Bowls, Marion County School Board meetings, the annual Marion County Student Media Festival, the Charlie Dixon Music Festival, and other original programs throughout the year. These productions use the latest digital technology and equipment to deliver high-definition programming via the Marion Education Channel throughout Marion County (via cable and YouTube) and standard definition over the air. 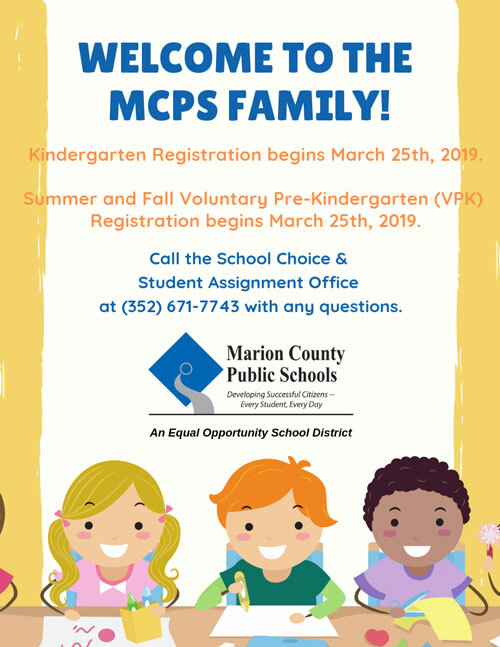 The Marion Education Channel is carried by local cable companies including Brighthouse Channel 496, Comcast Channel 99, Cox Channel 12, Cablevision of Marion County Channel 13, Oak Run and Pine Run Channel 99, Ocala Palms Channel 11, and On Top of the World Channel 60. The MEC is also available over-the-air with a digital converter box on Channel 7.1. The Marion Education Channel broadcasts quality educational and entertainment programming 24 hours a day, seven days a week, 365 days a year to over 200,000 households in Marion County. In addition 51 public schools have access to the programming, with a potential internal viewership of over 48,000. The MEC also airs classic movies regularly at 7pm except when preempted by Marion County School Board or Marion County Commission meetings. As well, the MEC program library features more than 1,500 individual programs with subject areas focusing on Literature & Language Arts, American History, World History, Arts & Entertainment, Mathematics, Science and Character Education to name just a few. The latest MEC programming schedule can be accessed by clicking here.